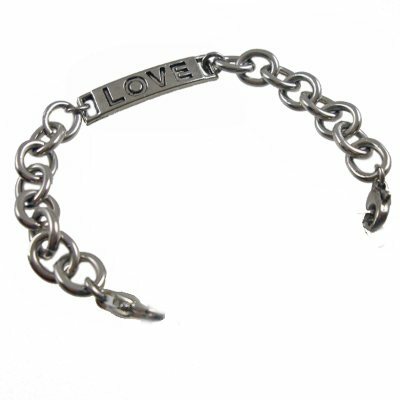 Surgical stainless link chain and one metal "Love" Connection link. Chain strand. Includes 2 stainless steel lobster clasps - Oval links are 6.35mm.